Two members of the group have recently read the fabulous book, The Button Box, by Lynn Knight. Lynn believes that every button has a story to tell and her book traces the story of women at home and in work from pre-First World War domesticity, through the first clerical girls in silk blouses, to the delights of beading and glamour in the thirties to short skirts and sexual liberation in the sixties. It was while sharing excerpts from this book that we found ourselves talking about homemade outfits worn in our ‘younger days’, and we thought we would share some of these with you! 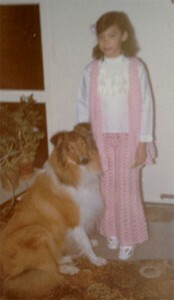 Taken in the late 70’s, I must be about 14 in this photo, which means I probably made this Clothkits outfit myself. Clothkits provided everything you needed, including thread, zips etc. (all perfectly colour matched) to create an outfit with the minimum of fuss. There was no need for paper patterns as the designs and cutting lines were printed directly on to the fabric. 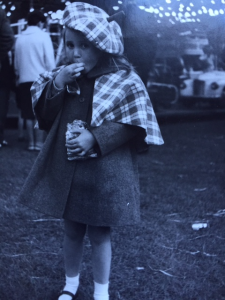 It is 1972, I am 10 years old and dressed to go to my first school disco. I always thought my mother had crocheted this outfit, but I recently learned that it was in fact made by a friend of hers, and without the benefit of a pattern. My mother had initially taught the same friend the basic crochet stitches and she was hooked (pun fully intended) and she then proceeded to crochet many presents for family and friends. 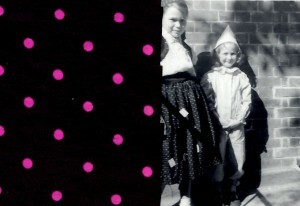 This photograph (together with fabric sample) shows my sister and I ready for the Boxing Day fancy dress competition in 1964. Sue is Andy Pandy and I am Gypsy Rose Lee. The silk fabric for the skirt and matching headscarf came from my father’s parents and was bought before the second world war; we think early in the 1930’s. A few yards still remain on the roll stored in my parents’ loft, but I’m told the moths have found it. 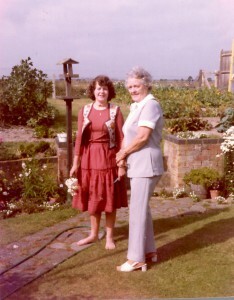 My Mum was an exceptionally good seamstress and I had lots of hand made clothes that were always of a really good quality. She did venture into the land of Clothkits as well liking the ready printed fabric – this was the late 60’s and early 70’s and the patterns were very floral and flat graphic style. I hated Clothkits almost as much as the hats! The Button Box is the inspiration for the latest project from the artists of unFOLD and we are organising two activities to coincide with Eastbourne Artists Open Houses 2016. The first is based on based on button collections. We are asking members of the public to bring along their own button collections; to share the contents and the memories they evoke. The images and words collected will be used to inspire and generate future art works. The second event is an afternoon with Lynn when she will talk about her inspiration for the book: her grandmother’s button box and the domestic treasures she discovered within. 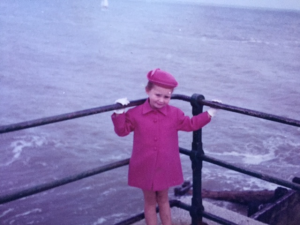 Lifting The Lid on The Button Box: An afternoon with Lynn Knight – 2pm on Saturday 16 April 2016 at the Birley Centre, Carlisle Road, BN21 4JR (next to the Towner). Tickets: £3 available from the Eastbourne Tourist Information Centre or via e mail: studio11eastbourne@yahoo.com. Share your button collection – 11am to 5pm, Saturday 16 & Sunday 17 April and Saturday 23 & Sunday 24 April at Studio 11, Old Printworks, 20 Wharf Road, BN21 3UG (close to the station). For further information or to donate any unwanted buttons, please contact Christinechester@rocketmail.com or sarah.welsby@live.co.uk.